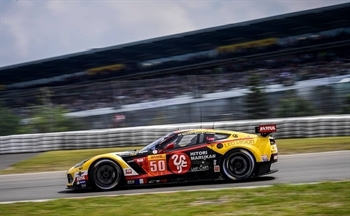 25/07/2016 - A podium ended Paolo Ruberti's 6 Hours of Nurburgring as the Italian was back to FIA WEC 2016 after the injury he sustained in a testing session that prevented him from running the 24 Hours of Le Mans. The driver from Verona, completely recovered, has been back at the wheel of the number 50 Chevrolet Corvette C7 run by Larbre Competition alongside co-equipers Pierre Ragues (FRA) and Yutaka Yamagishi (JAP) and, despite the two months of forced stop, it took only a few laps to get the feeling with the car back. In the first free practice session Ruberti posted the second time of LMGTE AM (2'00.755), while he has been leading qualifying for a long time before rain shuffled cards when Yamagishi was at the wheel. The race saw the number 50 car starting from P5 with an aggressive attitude to get positions back. Ruberti put in very strong stints and an effective recover that ended with P2. A series of full course yellow when the n.50 Chevrolet Corvette C70 was in the pits prevented Ruberti to obtain the second place. 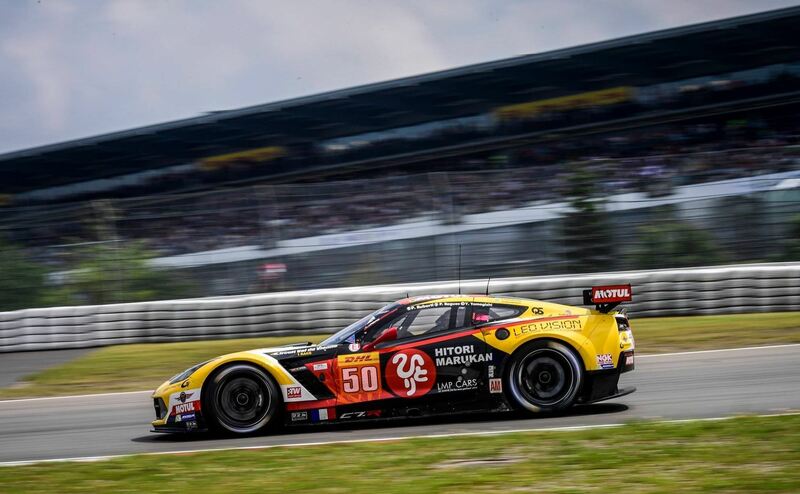 The Italian driver closed his effort in third place of the category, posting also the fastest lap of the race of LMGTE AM in 1'59.203s, that was almost nine tenths quicker than the best time of his rivals. "I am happy, I think we deserved the podium. The full course yellows did not help us and made us lose some ground. I am happy anyway on how this weekend went. The feeling with the car has been good since the beginning despite the stop of the past two months. I set the fastest lap of the race and I did not have any problem at the wheel. I was pleased by the warmth with which the whole team welcomed my comeback: this gave me further motivation to be competitive since the first session". FIA WEC 2016 will resume next 1-3 September with the 6 Hours of Mexico.